Delhi, 30th May 2018: Freyr Energy, a Hyderabad based solar EPC company bagged the award for ‘Smart Village’ at the 4th Smart Cities India 2018 Expo by ITPO – Ministry of Commerce & Industry, Government of India. The event was jointly organized by India Trade Promotion Organisation (ITPO) and the NASSCOM Centre of Excellence – IoT in New Delhi. 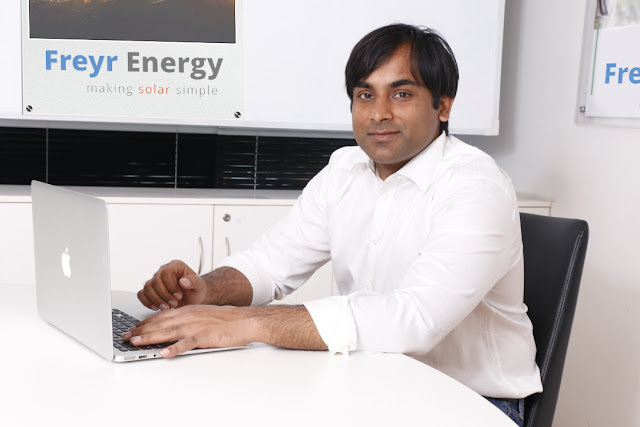 Freyr Energy is a Hyderabad based full service solar solutions provider with operations in India and Ghana. The company’s products range from Rooftop Systems, Petrol Pumps, Solar Water Pumps to Microgrids. In the last three years, Freyr has installed over 900+ solar systems across 16 states, impacting over 50,000+ lives in rural India and Ghana and has expanded its channel partner network rapidly. Freyr SunPro, which is the company’s proprietary software, is the driver of its rapid growth and differentiation. It allows their sales team and channel partners to instantly design and price solar systems based on the end-customer’s needs. In addition to this, Freyr Energy also helps its customers secure loans from banks and PPA’s.